Wanted: Cats. Dead, Alive or Both. The Cowboy loves quantum physics. As a fan of perspective and changes thereof, it is hard to not be enraptured by a field of study of the natural world that takes one so completely down the proverbial rabbit hole, where nothing is as it should be. 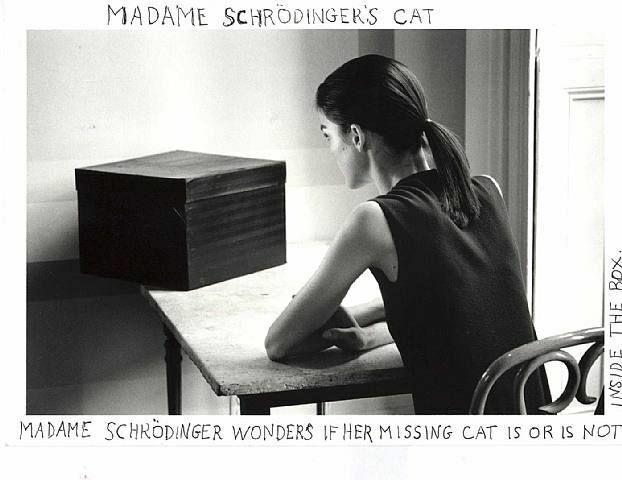 One of the Cowboy’s longtime quantum physics amusements is the endearing tale of Schrödinger’s Cat. “One can even set up quite ridiculous cases. 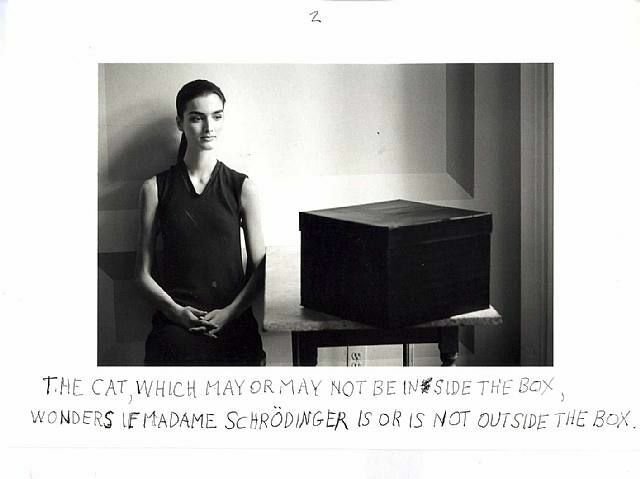 A cat is penned up in a steel chamber, along with the following device (which must be secured against direct interference by the cat): in a Geiger counter there is a tiny bit of radioactive substance, so small, that perhaps in the course of the hour one of the atoms decays, but also, with equal probability, perhaps none; if it happens, the counter tube discharges and through a relay releases a hammer which shatters a small flask of hydrocyanic acid. If one has left this entire system to itself for an hour, one would say that the cat still lives if meanwhile no atom has decayed. The psi-function of the entire system would express this by having in it the living and dead cat (pardon the expression) mixed or smeared out in equal parts. Well, the Cowboy usually falls off his horse when he tries to delve too deeply into matters that are best left to women and men much smarter than he, but it is fun to dabble in the Wonderland on occasion. There’s more on cats, dead, alive and both, over here. 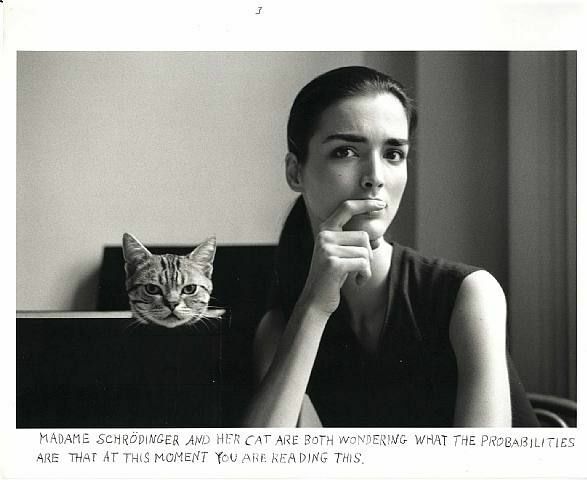 And if the artist, Duane Michals, makes you purr (or not)(or both), il y a plus içi. And in the usual place over here too. Among other interesting things, Michals was hired by the Mexican government to photograph the 1968 Olympic games. Oh, and the Police hired him to do the cover for the Synchronicity album. Synchronicity and perspective indeed. on March 16, 2009 at 22:41 Comments Off on Wanted: Cats. Dead, Alive or Both.